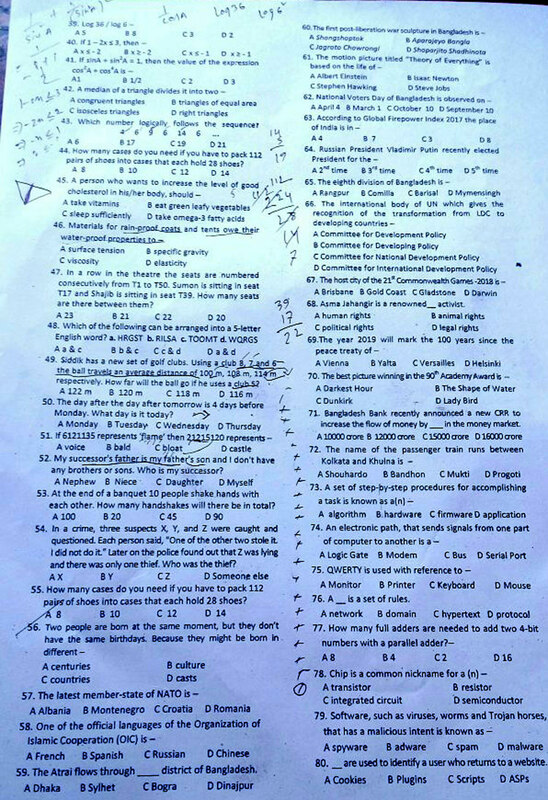 Government Bank Exam Question Solve 2018 has been found on my website. Government Bank Senior Officer Post MCQ exam was held on 12th January 2018. 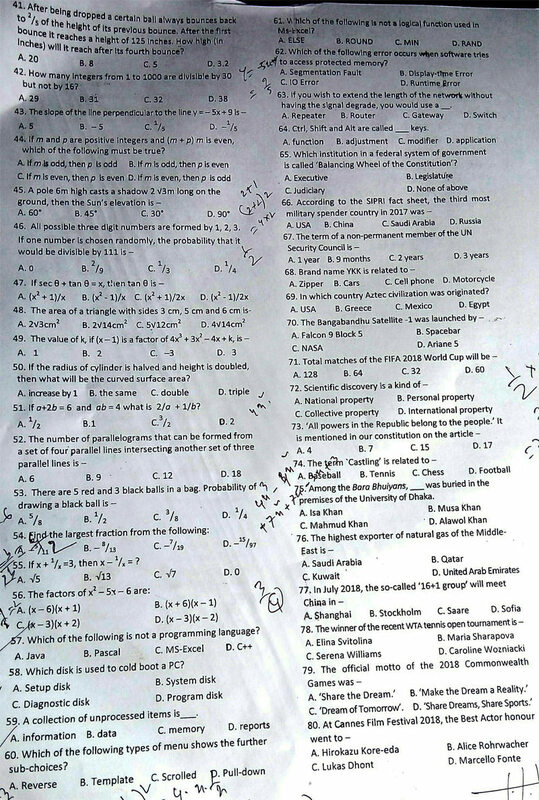 If you are interested to see correct your MCQ question paper solve then must visit my site. 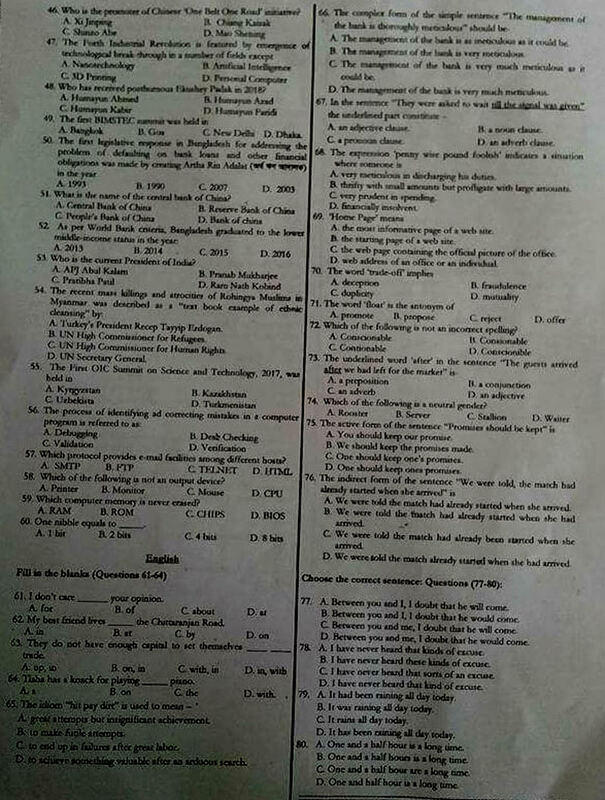 Also, you can check your MCQ exam you marking correct or wrong. I hope you can get help to follow my site. 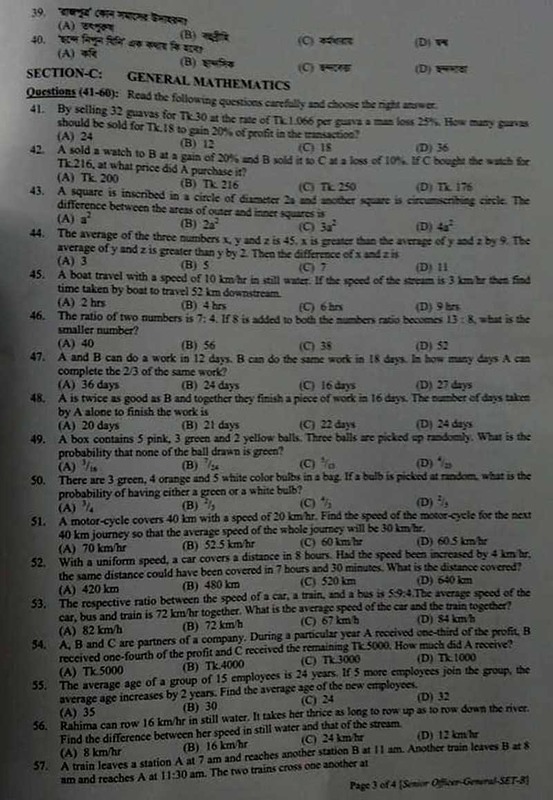 If any person comments this question solve wrong then must inform me of my comments box. Bankers´ Selection Committee Secretariat (BSCS) presently published Officer (General) and Senior Officer (General) MCQ exam admit card and seat plan announce their official website. Bangladesh Bank already selected a committee for only recruitment of Bankers Selection Committee. Bankers Selection Committee already published all Government Bank and Financial institute career opportunity. 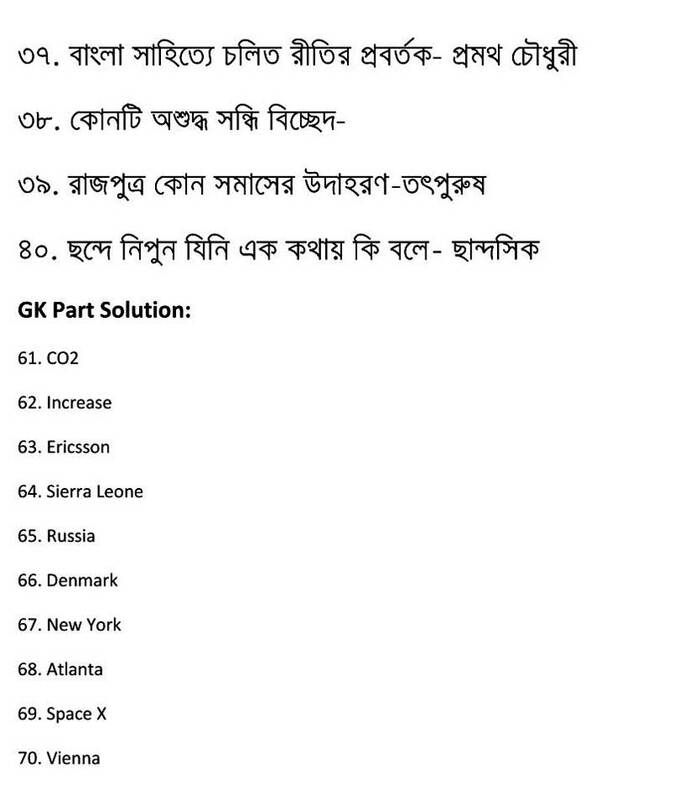 Government Bank Exam Question Solve 2018. ■ Job Description: All Government Bank Senior Officer one of the leading commercial banking institutions of Bangladesh is looking for a few young, skillful, creative and self-motivated individuals for various positions. 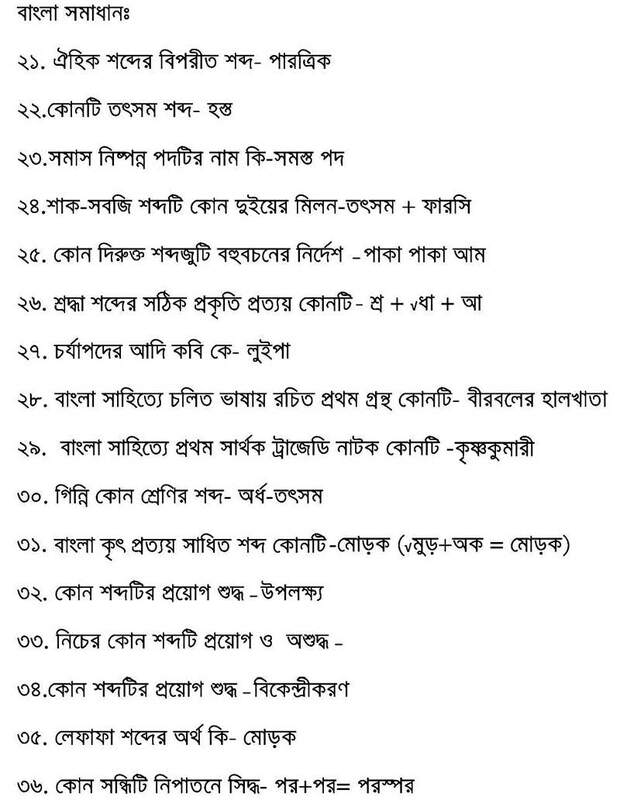 Sonali Bank has been published new job circular these job positions as Senior Officer (General). Presently this job circular has been published Bangladesh Bank. Now Bangladesh Bank centrally published all Government Bank recruitment. Bangladesh Bank already selected a committee for only recruitment of Bankers Selection Committee. Government Bank totals Job vacancies are one thousand six hundred sixty-three (1663) job titles are as Senior Officer (General), Officer (General) job titles total Job vacancies are three thousand four hundred sixty-three (3463). Sonali Bank Officer (General) total vacancies three hundred sixty-three (363) are recruiting. Lastly, Bankers´ Selection Committee Secretariat (BSCS) has been published job circular areas Officer (Cash) total vacancies of two thousand two hundred forty-six (2246). 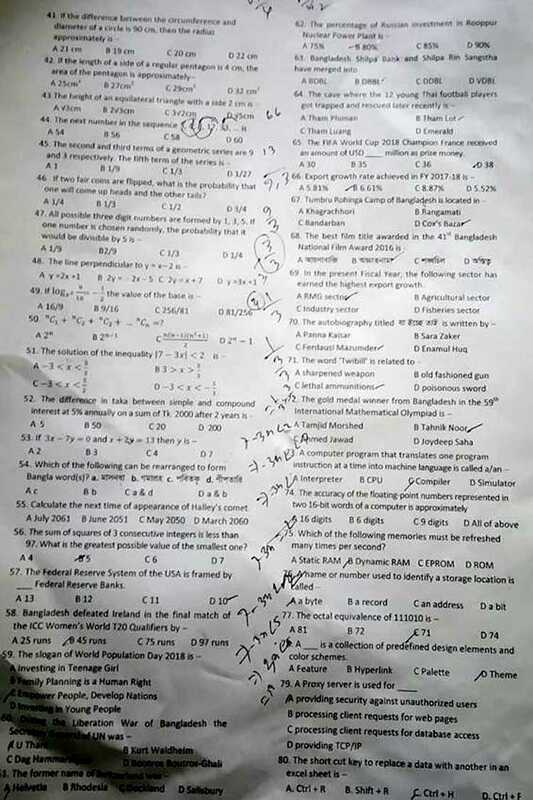 Government Bank Exam Question Solve 2018.